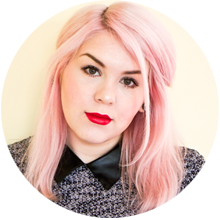 Having sensitive teeth can be a huge pain - literally! Even though I take good care of them, it's simply something that I've struggled with on & off over the years. Tooth sensitivity is caused by the gradual exposure of the softer part of your tooth that lies underneath the tooth enamel, called dentine. Dentine has tiny tubes that lead to the nerve & are filled with fluid. If anything causes a change in the movement of this fluid, the nerve endings react to this which in turn triggers the pain. Many things can set off sensitive teeth including food & drinks that are too hot, cold or sweet but for me the worst thing is the weather. As soon as the temperature drops my teeth react to the cold air & I'll be walking around outside in complete agony. Even getting a scale & polish can set my teeth off! Whenever I've mentioned any sensitivity issues to my dentist they've always recommended using Sensodyne products. 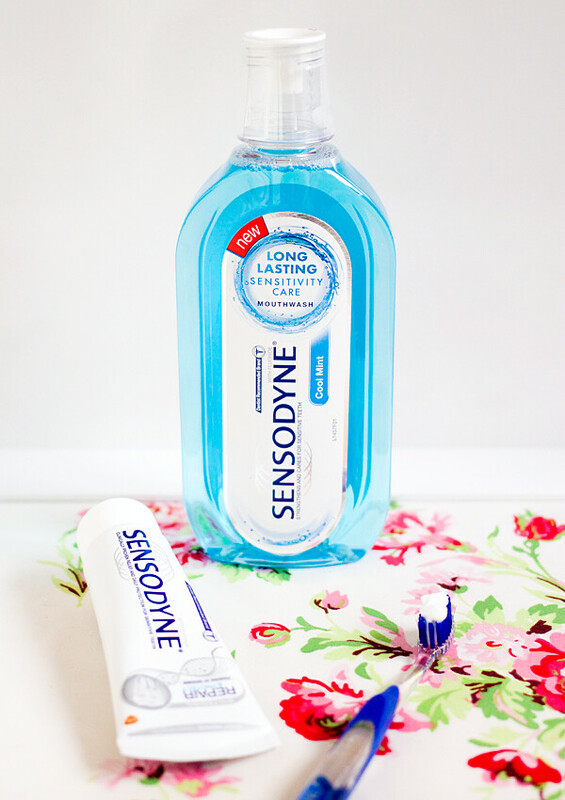 Sensodyne kindly sent me one of their sensitivity SOS packages which has worked a treat to curb any sharp pains. One of their latest releases is this Cool Mint Mouthwash & it's probably my favourite product out of the bunch. It has a lovely minty taste that leaves my mouth feeling really clean & fresh without being too overpowering. What I really like about this mouthwash is that it provides instant as well as long lasting relief to sensitive teeth. The fluoride formula helps to re-mineralise enamel, strengthen teeth & prevent cavities. It has also been specifically formulated without alcohol to be extra kind to sensitive teeth & gums. Including this product in my oral hygiene routine has made all the difference & it perfectly complements the use of Sensodyne toothpaste. As I don't have the straightest teeth in the world (wear your retainers people!) I try my best to keep them looking as white as possible. I often use Crest Whitestrips which are brilliant but they do leave my teeth feeling rather sensitive. 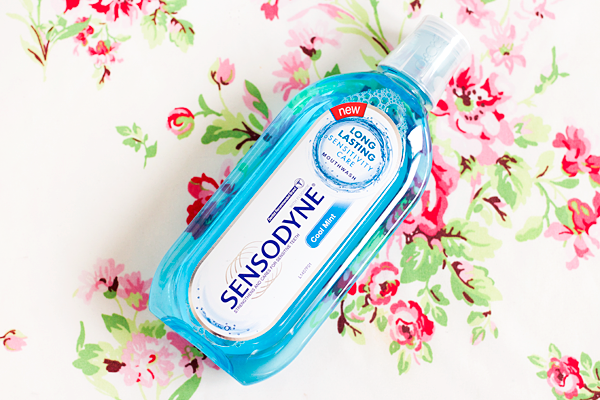 If you're struggling with tooth sensitivity but still want whiter looking teeth then these Sensodyne toothpastes are a much gentler option. My personal favourite is the Whitening Repair & Protect toothpaste. Not only does it make your teeth look whiter but it actually strengthens your teeth over time. The Repair & Protect range contains patented NovaMin® which is a ground breaking technology originally developed for bone repair. This advanced technology seeks out vulnerable areas & forms a hard layer over them. When used twice daily NovaMin® is clinically proven to not only strengthen & protect your teeth from the pain of sensitivity but it can also help to repair any tiny holes in the dentine. This toothpaste has been a complete godsend when I'm experiencing tooth sensitivity. It's important to keep using it even when your teeth feel okay as the effects are cumulative. I've been using it for several months now & I wouldn't be without it! 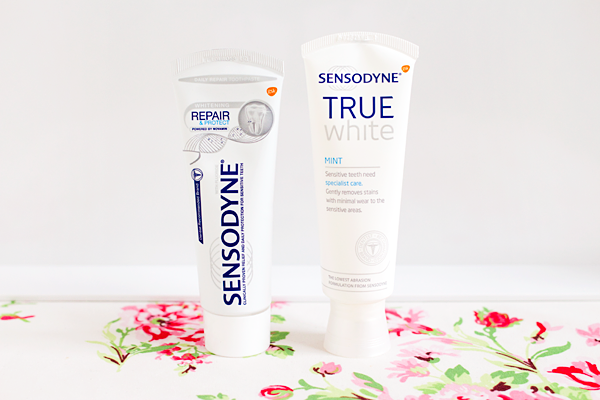 The Sensodyne True White toothpaste is their gentlest product & has the lowest abrasion formula ever in a Sensodyne toothpaste. It is 10x less abrasive than many other whitening toothpastes & feels as gentle as brushing with water. It contains 5% sodium tripoloyphosphate which gently removes stains & prevents new ones from forming. This toothpaste helps to restore the natural whiteness of your teeth whilst minimising the wear that many other whitening toothpastes can cause. The formula feels quite different to a normal toothpaste. It has a thinner texture & doesn't foam up very much. I feel like the True White toothpaste is better when it comes to whitening but the tooth strengthening properties of Repair & Protect are much more appealing to me. I currently use an Oral-B electric toothbrush because that's what my dentist recommends but if you're really struggling with sensitivity you might want to switch to a toothbrush that has been designed especially for sensitive teeth. 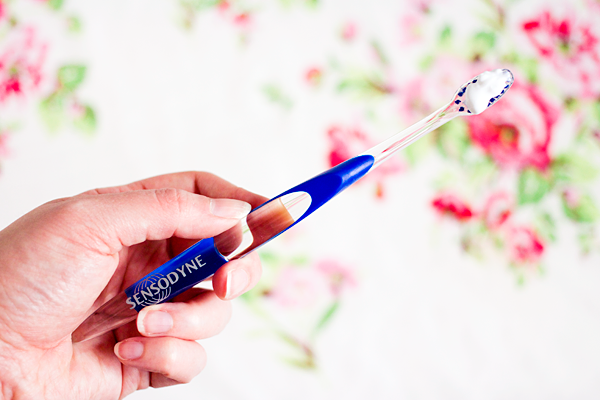 This Sensodyne Precision toothbrush has silky bristles that gently clean the teeth. It also has a small angled head which allows you to clean all those hard to reach areas with the greatest of ease. If you have sensitive teeth it's important not to brush them too hard. Using a softer brush like this one will be much kinder on your teeth & gums. I really enjoyed using all of these products & since being sent the sensitivity SOS package I have actually repurchased the Repair & Protect toothpaste and the mouthwash several times. I honestly don't think that there are better products out there for dealing with sensitive teeth & they have become a vital part of my dental care regimen.